Eugene Kim teaches cello and chamber music at New England Conservatory’s Preparatory Division as well as at the Massachusetts Institute of Technology, where is an Artist Affiliate. An avid chamber musician and solo recitalist, Eugene has given solo performances throughout Korea, England, Italy and his native United States, including such venues as Carnegie Recital Hall and Jordan Hall. His chamber music collaborations have included Raphael Hillyer, Shmuel Ashkenasi, Marc Johnson, Marcus Thompson, Gervase de Peyer and Mark O'Connor. 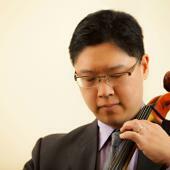 An active Boston-area performer, Eugene has performed with the Boston Symphony Orchestra as an extra player, the Boston Pops Esplanade Orchestra, the Radius Ensemble, and has been guest principal cellist with the Boston Philharmonic, Boston Classical Orchestra, and the Pro Arte Chamber Ensemble. Formerly, he was the principal cellist of the Vermont Symphony. Eugene’s students have been top prize-winners of several national competitions, including the Sphinx Competition, and performed on the national radio show, From the Top. During the summers, he was a member of the faculties of the Bosa Antica (Sardinia, Italy) International Music Festival, Foulger International Music Festival and Killington Music Festival. A passionate advocate of music education, Eugene has served as the Artistic Director of Project STEP and as Executive Director of the Foulger International Music Festival.